Are you considering a blepharoplasty procedure? Blepharoplasty is one of the most common operations in plastic and aesthetic surgery. It addresses changes to the ageing skin above and below the eye. Most people choose to undergo this plastic surgery for the following reasons: ‘looking tired’ all the time; difficulty in applying make-up; looking and feeling more aged than they are; hereditary factors have caused premature ageing; affected vision or appearance due to overhanging upper lids. In blepharoplasty, loose skin, surplus fatty tissue and relaxed muscle in the eyelids are removed to tighten the skin and leave a flatter, more youthful appearance. Upper and lower lids can be operated on either together or separately. Skin excesses may be caused by various factors, including e.g. the type of skin and tendency for the eyelid swelling due to allergies and kidney illness. It should be mentioned that the soft mimic wrinkles on the lower eyelid and outer edges of the eye are caused by the natural movement of face muscles and are permanent. They can be reduced with this operation in combination with Botulotoxin and collagen injections or laser resurfacing. 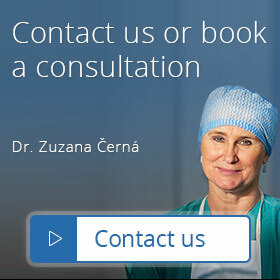 You can find out more about this at the personal consultation with the plastic surgeon. It is to be pointed out that the healing process is individual and differs case by case. Generally, scars will be pink along the inner margin of the lower lash and socket line to the upper lid and will normally fade quickly to leave faint white lines. Specific to blepharoplasty you may be advised to undergo an eye test at home -- if you have any concerns about health issues in your eyes. Blepharoplasty is usually performed under local anesthesia, unless general anesthesia is required. The price of the operation increases with the latter, and overnight hospitalization is then mandatory. After the face is disinfected and draped with sterile sheets, the plastic surgeon measures the exact amount of skin to be removed and marks the incision line on the skin. The excess skin is removed and the fat pads are exposed and also removed. The incisions are then sutured and adhesive strips are placed over the stitches. Until your state of health stabilized, our medical staff will check on you every day after the operation, to ensure your healing is going well. Clients are asked to come to our Clinic with dark glasses to wear after the operation, to protect the eyes in the post-operative period and to hide the bruising and swelling under the eyes that are common post-operative syndromes. For the first couple of days after the operation, apply cold and compress bandages as recommended. On the 5-7th day after the operation, the stitches are removed. It is possible to return to work in 10-14 days after the operation.